The Main Flipcause Integration Code is what allows embedded campaigns and campaign menus to load on your website. It also enables floating and pop-up functionality to work for Flipcause buttons. It needs to be installed into the Header or Footer area of the website, which allows it to be available on every single page. If installed in this way, it only has to be installed once per website! 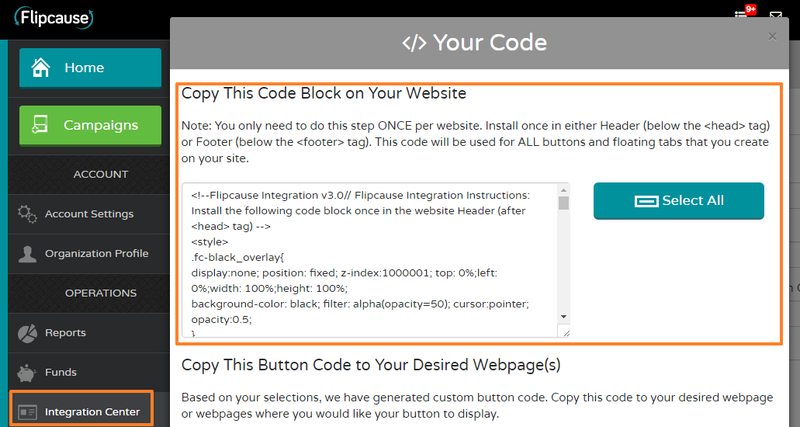 The code by itself does not create any visible elements on your site, it works in the background to allow the loading, popup, and floating functionality to work for Flipcause elements throughout your website. You can also grab this code directly from here. 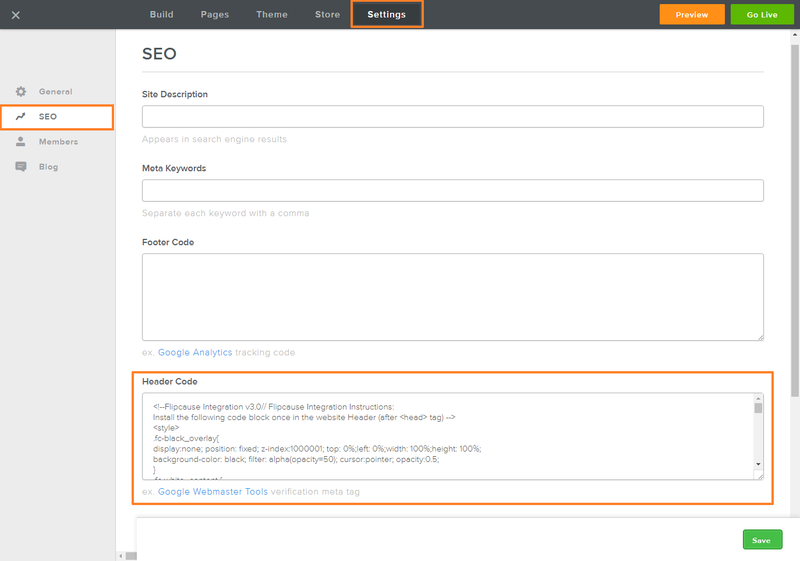 On Weebly, you will want to add the code by going to Settings > SEO > Header Code, and paste this into the Header Code section. If there is already something in that section, feel free to paste either right above or right below. If you're installing a floating button, it goes in in the same section, directly below the Main Flipcause Script. Click Save at the bottom and then Publish at the top. Your website will now be fully equipped to take advantage of all Flipcause has to offer!